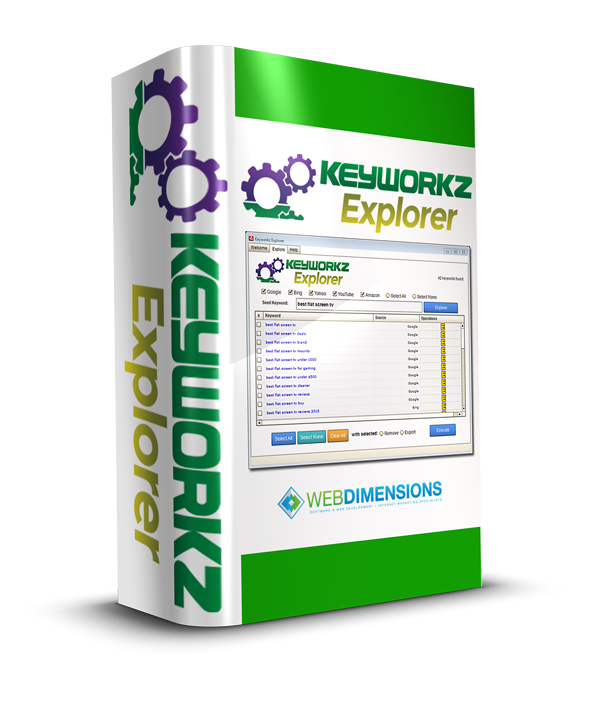 Keyworkz Explorer is a free keyword traffic tool that you'll want to keep among your free SEO tools for your website. If you want to learn how to do keyword research for free, definitely sign up for this SEO keyword software and the free keyword training that comes with it. Identify Trends and Capture TRAFFIC that's ready to BUY NOW! Normally $27 - DOWNLOAD FREE! Limited-time promotional offer - get your unlocked, fully functional copy today just for signing up! Get Instant Access to Keyworkz Explorer Software & Training - 100% FREE! Just enter your name and email address so we know where to send your stuff! Imagine how your income will soar once you've discovered how to find the people that are ready to buy your products & services! Simply enter your name and email into the fields provided and click the submit button. You will receive instructions on how to download Keyworkz Explorer on the very next page. We hate SPAM as much as you do. Register with confidence. Find Hidden Long-Tail Buyer Keywords so You Can Profit from Search Traffic! With our free keyword traffic tool you can Instantly retrieve thousands of hidden long-tail buyer keywords with just a click of your mouse so you can uncover what buyers are searching for. Then you can tailor your content strategies to grab the traffic by deploying the keywords you find into the content on your website. You also have the option to export your keyword lists as CSV files so you can import them into other platforms and broaden your search marketability. As a Keyworkz Explorer user you'll also be able to gain access to our traffic training series for even more tips on how to do keyword research for free and especially how to gain buyer traffic using SEO keyword software. Just enter your name & email above, and download Keyworkz Explorer instantly. HERE'S HOW IT WORKS: Type in a general term, click the "search" button and instantly get hundreds of related, "suggested" long-tail buyer keywords that you can then export as CSV for use in all your projects -- so your websites, blogs and videos will always be loaded with PROFITABLE search traffic. IT WORKS - GUARANTEED because the keywords you get are what Google, Youtube, Amazon, Yahoo and Bing are all telling you - this is what people are searching for! This promotional offer will be shut down at any time without further notice, at which point you will be able to purchase Keyworkz Explorer at its normal price of $27.